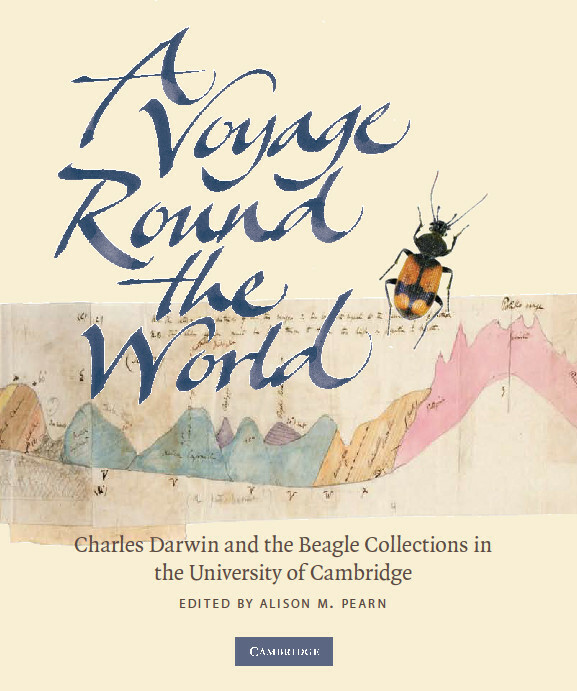 Follow the story of the Beagle voyage through Darwin’s notes, books, letters, and specimens, now in the collections of Cambridge University, and displayed for the Bicentenary exhibition A voyage round the world, in Cambridge University Library in 2009. The text, captions, and images from the exhibition are available here. Images of the wonderful drawings and watercolours from two of the sketchbooks kept by the Beagle artist, Conrad Martens, and now in Cambridge University Library, are available through the Cambridge Digital Library. They have also been used to create a virtual sketchbook where the images are accompanied by Darwin’s own descriptions from his letters, selected by editors from the Darwin Correspondence Project.